Whether you’re trying to limit your interaction with contaminants in a hospital or handling potentially dangerous chemicals in a lab, having the proper hand protection is crucial. Disposable rubber, nitrile, and vinyl gloves are perfect for everyday tasks and are ideal for a wide range of applications. It is important to choose the right material so that your gloves are up to the task. 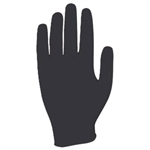 Industrial Safety Equipment carries a wide range of disposable latex gloves, as well as nitrile and vinyl options. Our powdered or powder free nitrile and vinyl gloves are a great choice for those with latex allergies and for those looking for greater chemical resistance. Use powder free latex, vinyl and nitrile gloves as exam gloves or to work with food processing and inspection. No matter what kind of industry you work in, your hands deserve to be protected. Shop the selection at Industrial Safety Equipment today for everyday hand protection you can trust!